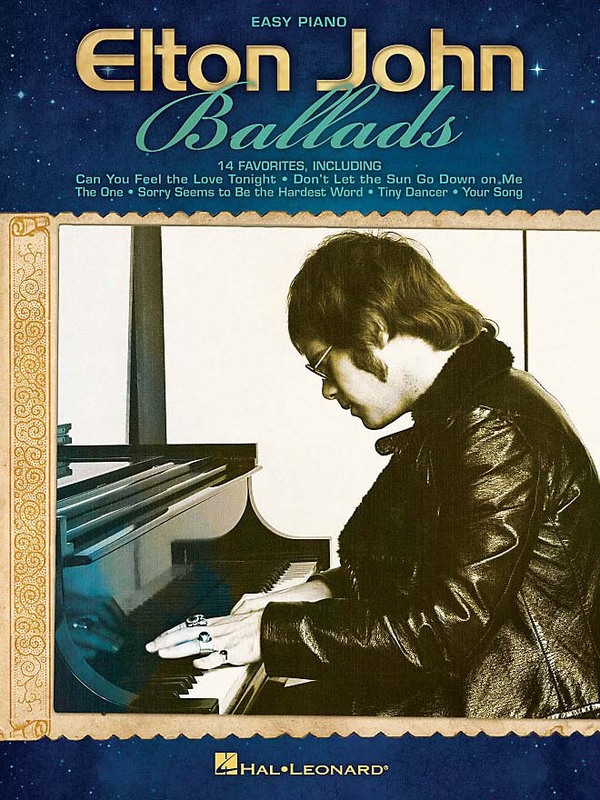 14 of Elton’s most popular ballads. This book of piano songs is for beginners but it is still a bit hard for me. Guess I better practice more! I do like the song selections though. This books allows you to play Elton John favorites right away…just sit down and play. The arrangements are wonderful. You can master Elton John’s unique chord progressions and sound in little time. Everything I had hoped for! Just recently bought me a baby grand piano and started playing again. Thanks!